Have you been looking for ways to gain muscle? Supplements can definitely help you but you must include these muscle building foods in your diet which help you in gaining muscle. 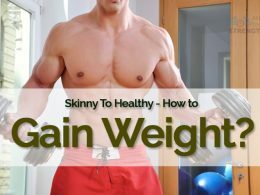 These food are avoided by people who wish to build lean muscle but they can be a boom for you. Next articleOvulation Calculator – Monitor Your Fertile Days! Wow, that’s a lot of muscle building foods you have right there… can you recommend the best ones? Thanks for your comment, You can try avocado, protein foods, supplements, fruit shakes and choose your favorite.